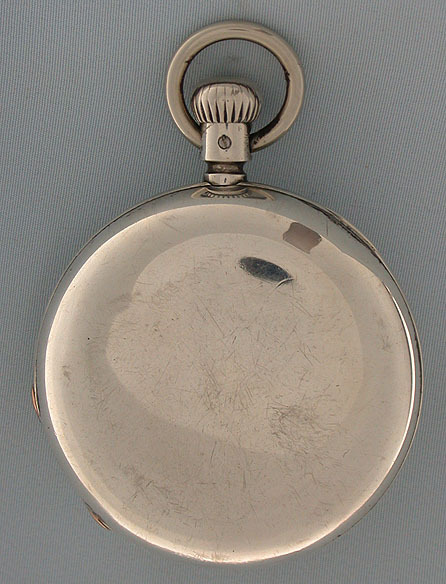 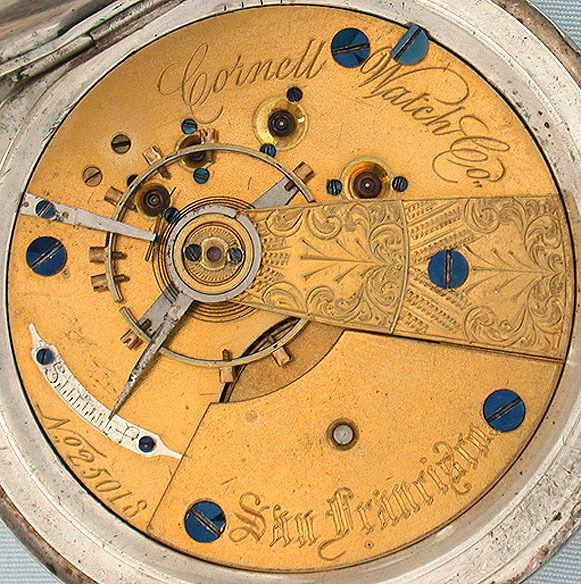 Scarce Cornell Watch Co., San Francisco coin silver 18/S antique pocket watch circa 1876. 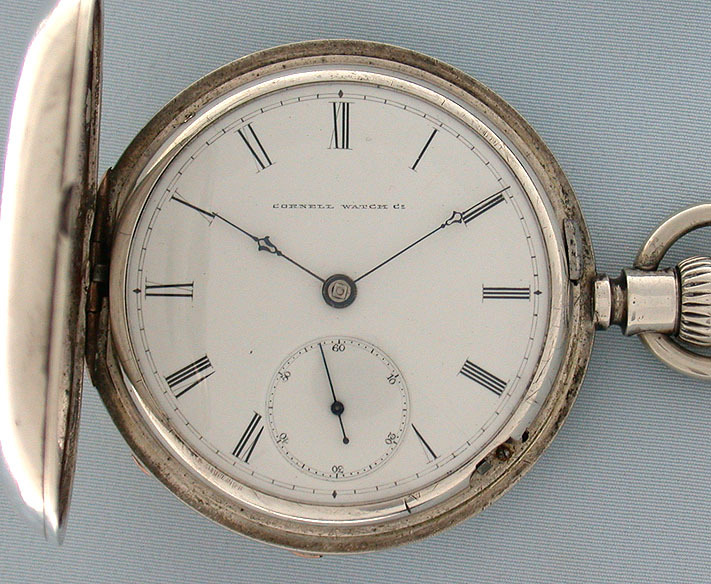 White enamel dial (clean hairline) with blued steel hands. 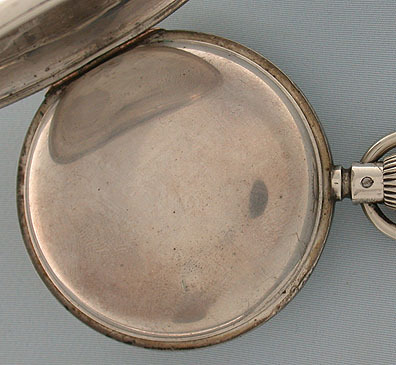 The case with pocket wear. 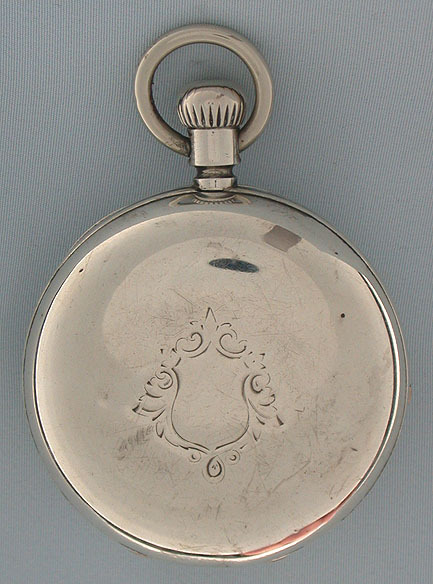 Gilt 15 jewel movement with screwed jewel settings.